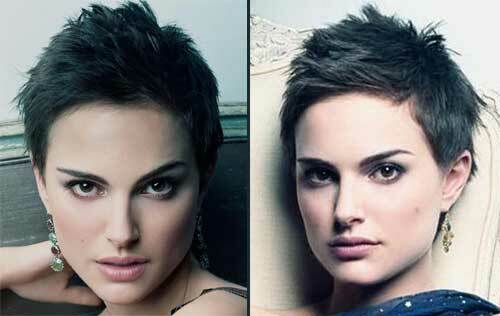 Chin-length short bob like Natalie Portman's hair style is not always suitable for round faces. If you have square face or fine hair type then try a soft or choppy bob with less hard edges. This style is mostly suitable for straight hair. Styling: 10 Min. blow-drying with round brush. And here is Natalie with pixie haircut.